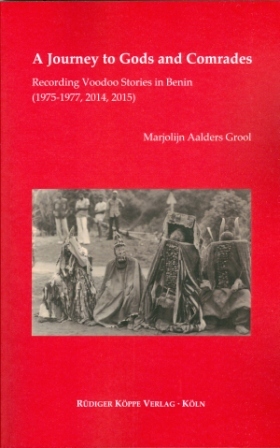 Marjolijn Aalders Grool travelled to the West African Dahomey in March 1975. Thirty months later she left the same country that was then called the “People’s Republic of Benin”. During her stay, she recorded a corpus of 37 mythological Voodoo stories. The scholarly results have been published by us in 2013 and 2014 (see the links below). 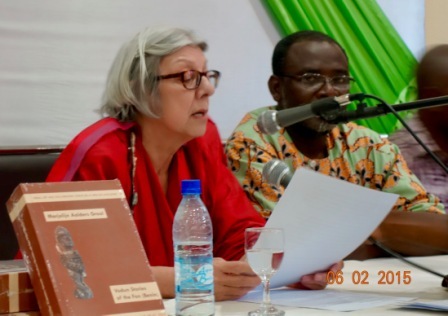 In her third book, she describes the fieldwork and the welcoming reception in the villages, as well as the political machinations and the ruthless oppression of the Voodoo religion by the Marxist-Leninist regime. But she also writes about the social isolation of the few foreigners who eventually lived there, and how they dealt with it. 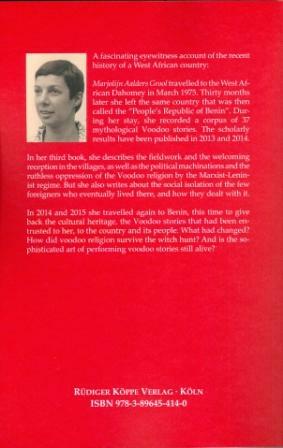 In 2014 and 2015 she travelled again to Benin, this time to give back the cultural heritage, the Voodoo stories that had been entrusted to her, to the country and its people. What had changed? How did voodoo religion survive the witch hunt? And is the sophisticated art of performing voodoo stories still alive?